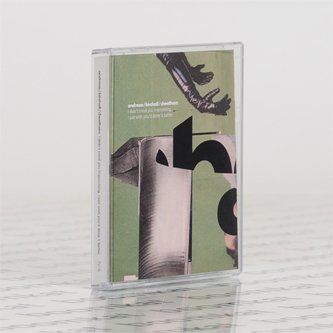 "Although the title may be humorous, the first release from the trio of tenor saxophonist Sam Andreae, guitarist David Birchall and drummer Andrew Cheetham is no laughing matter; especially when it displays such a beguiling amount of telepathic interplay. ‘Erich Frohm Where’ sets the tone for the entire cassette, given a synopsis of what to expect on both sides. 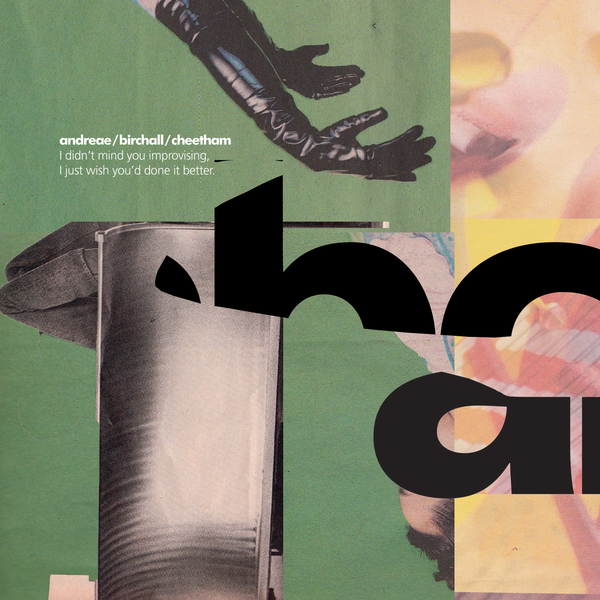 The simmer begins with Andreae’s burnt saxophones tones that shade and colour in indistinguishable fashion Birchall’s droning feedback squall as Cheetham flitters in chimes and falling rhythm clusters around the ascending momentum. A snap of disquieting silence erupts into a slavering, feral exchange between all three players; snapping, blurting and screaming through the instruments in a cacophony that sounds uncannily in sync. The opener highlights a deep level of mimicry between the trio; all three emboldening this awe-inspiring aspect throughout the two longer improv excursions on the release. ‘Post-Nasal Space’ starts as a barely their examination of stillness, Andreae’s percussive saxophone thumps mirroring Cheetham’s flits of rolled snare. The piece meanders to a slow burning eruption of stunted squawks and stuttered percussion that sounds like bird song strangled and beaten by branches. It’s alarming how much Andreae and Birchall’s saxophone and guitar sound alike, becoming indistinguishable for each other in their cries. ‘It’s a Symmetrical, Asymmetrical Problem’ sees the two exchanging in a similar blurring union, but with far more melodic colours; grunting, moaning and sighing in and out of each other’s phrasings. In these exchanges, Cheetham doesn’t just play referee, but is a pronounced commentator using a dazzling array of percussive tools and anti-rhythmic works-out that call to mind the great Tony Oxley. ‘Dude, you look like Seasick Steve’ is the albums most unified piece. A snarling, skronk-grind rampage that beats the listeners ears with an unrepentant and gleeful fury, you can definitely tell the pummelling is coming from all three sets of fists. This trio does largely deal with textural elements, but their experiments never careen into all-out abstraction. In fact, it is in these moments when the players seem most in sync, mimicking one another in a considered and learned fashion. These can only be the results of a deep level of intuition and hours of jamming the trio have undergone in order to attain their very distinct brand of improv. It’s one that is as at home with bursts of pointillist savagery as it is with sculpted tone poems. And the deeper rewards reaped will only be revealed on repeated listens."